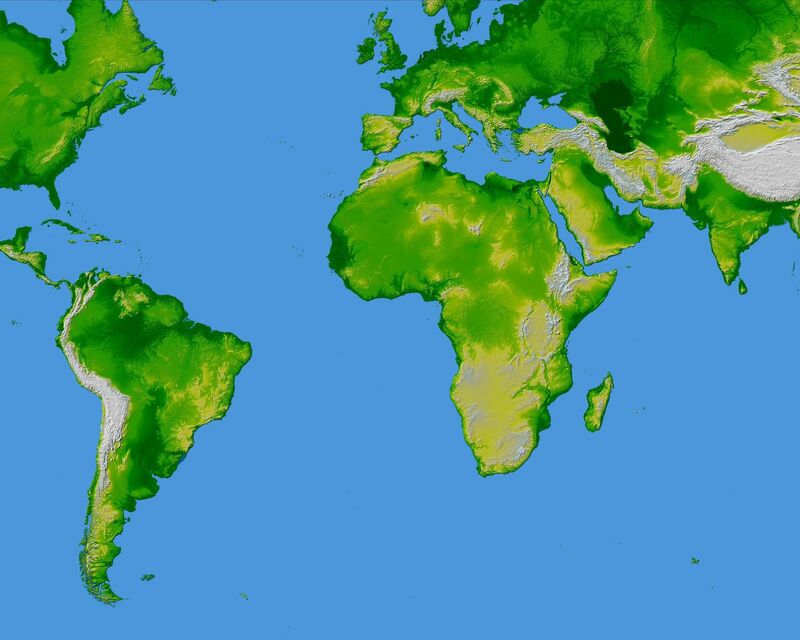 This image of the world was generated with data from the Shuttle Radar Topography Mission (SRTM). 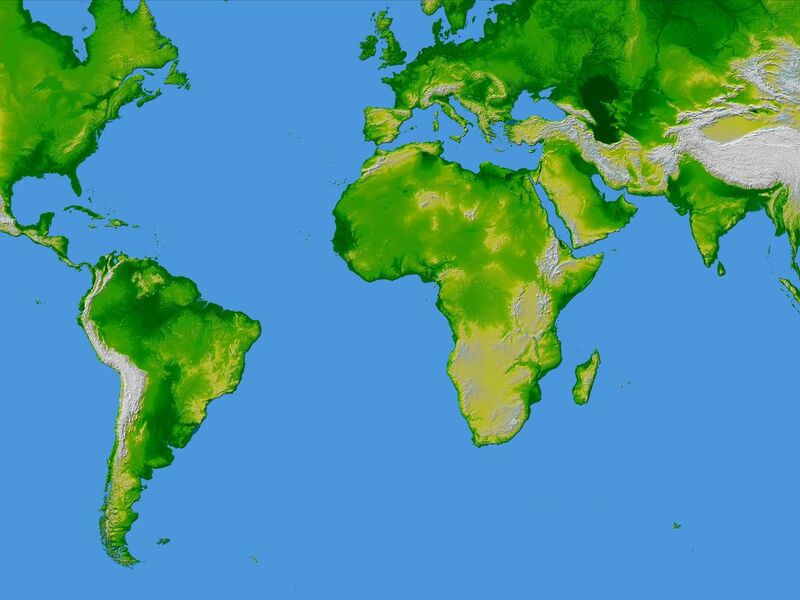 The SRTM Project has recently released a new global data set called SRTM30, where the original one arcsecond of latitude and longitude resolution (about 30 meters, or 98 feet, at the equator) was reduced to 30 arcseconds (about 928 meters, or 1496 feet.) 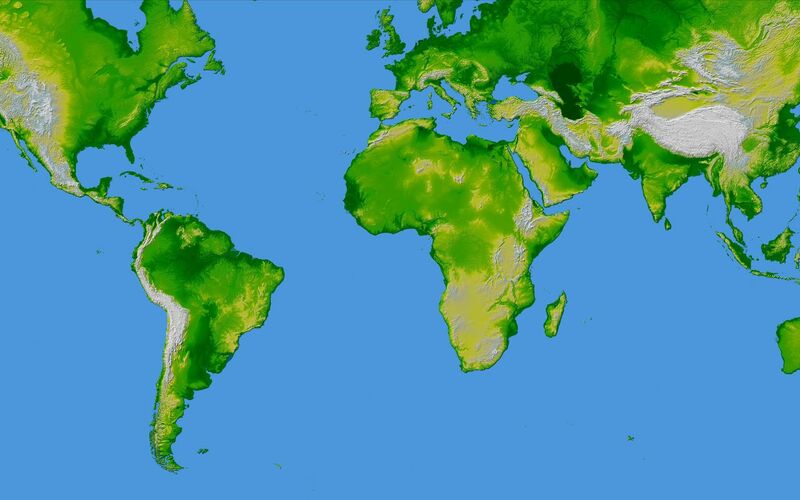 This image was created from that data set and shows the world between 60 degrees south and 60 degrees north latitude, covering 80% of the Earth's land mass. The image is in the Mercator Projection commonly used for maps of the world.